Otto, I also referred to Zen philosophy in my current post. For years I’ve read Alan Watts and others, who adhere to Eastern philosophy, as a way to better delve more deeply inside of the world and myself. In my post I refer to one of its influences: my gardens. A personal philosophy sifts through one’s entire actions and being, and especially through the creative process. Don’t know much about Alan Watts, but just checking him out, it seems like someone I should get to know a little better. I look forward to see what you write in your latest post (and have to admit I have not been very present in the blog sphere as of late). The link doesn’t work, at least not for me. What a wonderful review you’ve written, Otto! I appreciate your honesty in discussing both the things you enjoyed about the book, and those you didn’t. Although I’m not sure the “woozy and lofty” language will speak to me either, I am still curious to check it out — but your Amazon associate link isn’t showing up at the bottom of the post (in my browser, at least). The same happened to fragglerocking. As I wrote to her, it worked for me. I suggest you use to text link in the beginning of the post, then. Otto, I do appreciate your readiness to look at alternative approaches to photography but I also love your scepticism! It’s great to look at different perspectives but it’s also important to take from them what works for you. Take care my friend. Sounds good and thank you for the write up about the book. Since I have read many books on Zen, Buddhist philosophy and living in daily Mindfulness, it may be a book I could actually relate to. I’ll check it out (together with the others you recommend). I must admit I tend to veer towards books with lots of images. I’m a visual person and sometimes my eyes wander around long paragraphs or scholarly chapters unable to grasp what the author is trying to convey. I lose focus quickly now I wear thick glasses (instead of the bi-focal contact lenses I wore up to 2010). I never realised how much I relied on the excellent vision contact lenses gave me until I changed back to glasses and around the same time, took up photography. 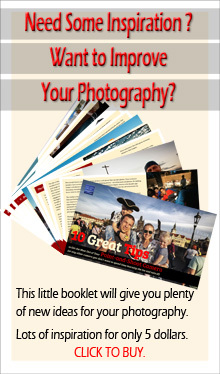 There are images in Zen Camera, but nothing like in a more traditional photo book. It’s hard to grasp what it’s like to lose one’s vision. I just know how much I rely on mine. I enjoy photography, but I am not a photographer, I have a very modest camera, that sometimes carry around, in order to save myself long explanations when asked how was your trip, or how was the reunion, or how was the family when you visit them, this event, or that other one, etc. And that’s my ten cents of Zen, when it comes to photography. I am glad you enjoyed reading this piece even if you don’t regard yourself as a photographer. So interesting..thank you Otto , I am all for inspiration to create something out of the ordinary…but there is nothing wrong with the ordinary.. as without it you would not recognise the opposite. You present a well balanced review of the book – I appreciate your honesty about what you don’t like in the book, and the fact that you then go on to say you still recommend it. The book sounds worthwhile but the title drives me crazy. I don’t like people attaching the word “zen” to things they are promoting if they aren’t zen students or teachers themselves. I see no evidence that he ever studied zen seriously, so it seems he picked up the concepts through years of reading, etc., and he uses “zen” in the title because he thinks it expresses what he’s trying to get across. Or possibly because that word would sell more books. After an admittedly quick look at the book contents and index on Amazon, it looks like what I call zen lite. I’m probably guilty of that too, but I like to think I wouldn’t put the word “zen” on my work, as if I were an authority on it. I apologize for the rant. There is really good work on his website though. And as you know, I’m all for the overall direction you’re talking about here, with the other books you mentioned. Do you know John Daido Loori’s work? He was a photographer who went on to become a respected zen teacher, and wrote a few books on art and zen. No reason to apologize for you “rant”, I think you have a valid point. 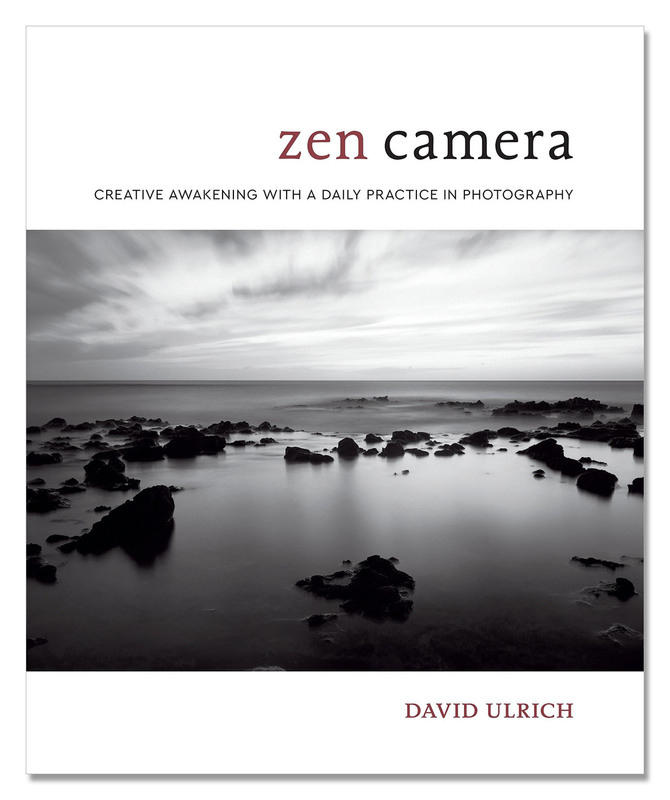 However, I do believe David Ulrich has more insight into Zen, than might be evident in my review and on Amazon, even if he is not a zen teacher as such. I do know Daido Loori’s work and have for instance read his The Zen of Creativity. A great review Otto. Though my photography is limited to spontaneous pics of things that capture my interest this seems a worthy read for serious and professional photographers. Enjoyed reading this. I believe more of us “serious” photographers ought to learn to approach photography more spontaneously. Thank you, Holly. Interesting and balanced read – thank you. I see that the Austin Public Library has a copy so I’ll check it out. Thanks for the recommendation. Hope you will enjoy the book. I happy to have been able to recommend the book. Sounds very interesting. I’ll check it. Despite my objections, it’s a book a can recommend. This is intriguing, Otto, a cool concept. I enjoyed your thoughts on it. Hugs. I really enjoyed your post … I always do! 🙂 Thanks too for your honesty with the review ..
And thank you for the lovely feedback, Julie.